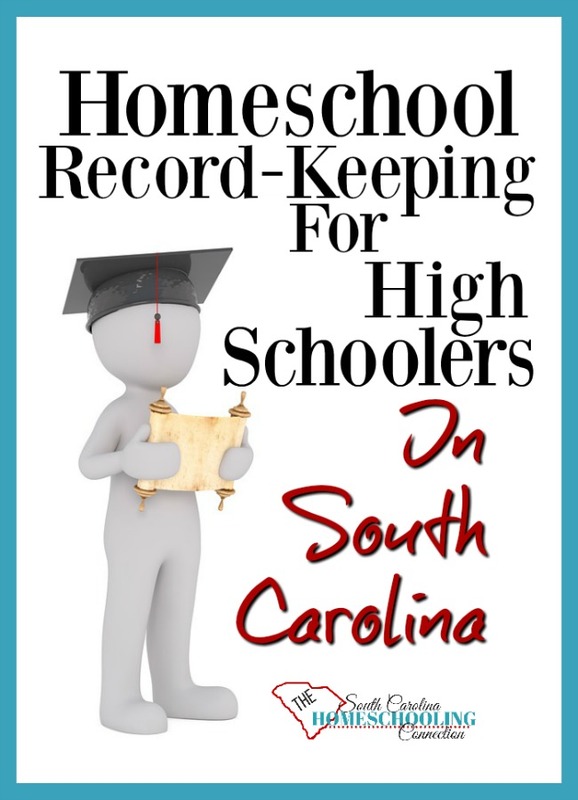 Let’s talk about homeschool record-keeping for high schoolers in South Carolina. 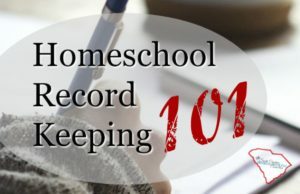 We’ve talked before about the basics of South Carolina’s Homeschool Record-Keeping 101. But, now that you’ve got a high schooler working toward credits and transcripts–there’s a little bit more you’ll want to do so the doors of opportunity will open for your student. Depending on what accountability you choose, you may have to format your records a certain way and provide course syllabus or list out curriculum as proof of the credits you claim. Some associations will assist with transcript preparation included in their fees or as an optional service for additional fees. But, parents can prepare a professional transcript on their own, if the association doesn’t offer that service. The homeschool law identifies a “minimum” required subjects that we must cover. However, if that’s all we accomplished in High School, the student would not have an equivalent education to go anywhere beyond high school. 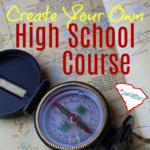 So, we aim to cover equivalent amount of courses as the South Carolina Diploma requirements. 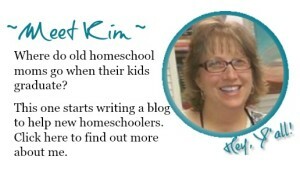 Note: Homeschoolers do not get a state issued diploma. Many associations issue diplomas and homeschoolers can order diplomas or create their own. The transcript is actually the “forever document” that is more important than the diploma. The minimum amount of credits for public school diploma is 24. In some schools, students can earn up to 32. College admissions requirements vary from one school to the next. For example, Clemson University requirements include 3 credits of a single Foreign Language and 3 Math credits. While University of South Carolina only designates 2 Foreign Languages credits, but requires 4 Math credits. So, adjust your courses to meet the admissions requirements where your student wants to go. If you don’t know where your student wants to go–aim for the diploma minimum. Even if you don’t think they will go to college, be prepared in case they change their mind. 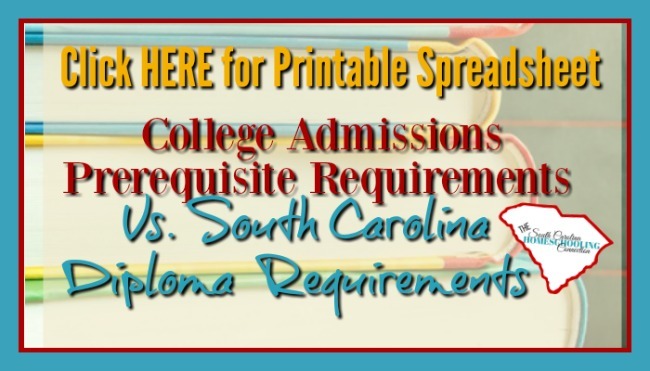 Note: If your student might attend a 4-year college, read more about the college admissions requirements here. There’s 2 basic components to counting credits: The amount of material covered and the amount of time invested. The lesson plans/journal that you keep should keep track of these components so you can determine when a credit is earned. Amount of Material Covered: Curriculums are packaged so that the amount of material in a High School Course is worth a credit (or a 1/2 credit). The student can work through the material at an accelerated pace and still get a credit. 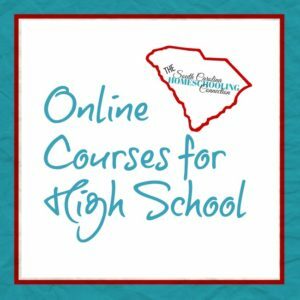 VirtualSC is an accredited program that offers ala-carte courses to public, private and homeschool students–so students can make up missed credits or get ahead. But, you can do the same thing with any curriculum or textbook. Some students like to work their way through a course, working every day and knock out the credit very quickly. Others might like to spread out the workload over a whole school year. The curriculum/textbook is the same amount of material, no matter how they divvy it their time. I would make a copy of the table of contents, including the publisher’s information and copyright date. In case you need to go back and make a syllabus or course of study as proof of the credit. Amount of Time Invested: On the other hand, if you’re not using a packaged curriculum or textbook, it’s harder to know if you have covered enough material. So, I would google for a syllabus on the subject you want to count as a credit. That gives you an outline of topics and activities that you might also include. Keep track of the amount of time your student works on this subject to count towards a credit. 180 days attendance is still required by the wording in the law, but the days are not as important as the hours. For example, PE credit could be accumulated by logging a variety of physical activities. We did a variety of activities: bowling, tennis, weigh lifting and cardio equipment at the gym. We kept a log of the activity time. We counted 120 hours as a full credit. The amount of time accepted as a credit may vary between 120-180 hours for a full credit and 60-90 hours for a half credit. Need a review of the basic record-keeping requirements? Click here. Whatever your student is already working on can count toward a high school credit. Making their own youtube videos, learning to code, playing a musical instrument, doing community theater, doing woodshop or carpentry or library assistance…anything. I would edit a syllabus or create my own syllabus to document what learning objectives were accomplished during the amount of time. Then keep a copy of that in case you need to demonstrate proof of the credit. It is also okay to do some things “just for fun”–and not necessarily included on the transcript. It’s not necessary to make everything into a credit. Public school students do lots of extra curricular activities that don’t count on their transcripts, so homeschoolers can too. Note: My son took a really long time getting through Algebra 1. It took him 2 years to get through the course material. So we designated it on his transcript as Algebra 1A and Algebra 1B–each for a full credit. This demonstrated the amount of material and the amount of time it took him to work through it. Math isn’t his thing, and that’s ok. But, we have to show that on the transcript. can help you keep records that win college admissions and scholarships. 3. What about the Grades? Colleges, trade schools, military and employers speak the language of grades and GPAs. You are translating your student’s accomplishments and abilities into the language that makes sense to the public. 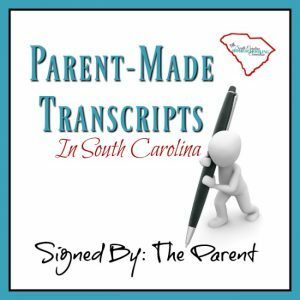 Even if you’re an Unschooler, you can format the student’s accomplishments and abilities into a transcript. I’m gonna tell you a secret. Grades are arbitrary. There I said it. No matter how they are calculated, I would argue that they are still arbitrary. So, I’m not going to tell you how to calculate your student’s grade. The grades are an evaluation of how well the student has mastered the subject. So, you’ve got to communicate that in the language of letters and numbers–A, B, C and 95, 90, 86. Then those numbers equate to an overall average called Grade Point Average (GPA). When you evaluate your student’s ability and accomplishments in each subject, it’s not a measure of effort. Even it was, nobody gives 100% all the time. I certainly don’t. So, I don’t see any reason a student would make all 100’s. I also don’t see any reason why a homeschooler should fail a subject. It’s one student–so there’s no reason to move on till he has mastery to proceed. The grade scale has recently changed. So, use new scale. If your student is doing A-worthy work, then the grade should be between 90 and 100. If it’s B-worthy work, then the grade should be between 80-90. And so on. Once you have grades for every course, then you need to average them into another scale for a GPA. 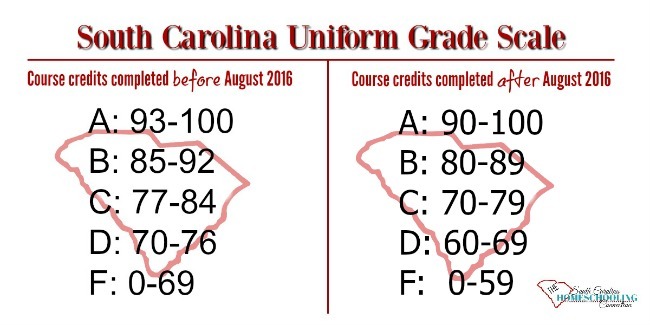 South Carolina implements a unique GPA calculation with the South Carolina Uniform Grade Scale (SC UGS). Colleges can accept your transcript for admissions requirements on the 4.0 GPA scale. 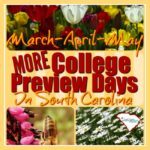 However, in order to qualify for state scholarships issued from the Commission on Higher Education, the GPA should be calculated with the SC UGS GPA. If your association offers ranking qualifications, then your student’s GPA must also be calculated on the SC weighted scale. 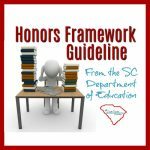 In other posts, I discuss more about what counts as an honors credit and the SC Honors Framework. But, for now–just know that the scale is weighted. Honors courses, AP courses and Dual Enrollment courses weigh more than College Prep courses–boosting the GPA above 4.0. You can translate ANY wonderful educational experience into grades and credits on your own official homeschool transcript with this Total Transcript Solution from HomeScholar. The South Carolina law requires a certain amount of “minimum” record-keeping. But, our focus is not about minimum requirements, especially when we do homeschool record-keeping for High Schoolers. The focus of our record-keeping efforts is to open the doors of opportunity beyond homeschooling. 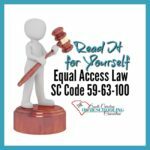 That is all the law intends–for our children to become successful citizens. It’s not that hard to maintain good records and compile professional transcripts. If I can do it, I know you can too!